A couple of people have asked me recently on how they can use mangas to actually study Japanese. I don’t think I’m truly an expert at this, but I can share my experience on how manga has helped me understand the language. The truth is, I can barely brag about my Level 3 certification but I can say, by my experience, that reading manga does help a lot in building my vocabulary and grammar. I must admit that it’s the very reason why I started learning Japanese in the first place. Beyond the usual route of taking classes, mangas provide an avenue to learn more words and grammar patterns which can open up more areas for knowledge and understanding. Besides, for me, it was the best way to put to use the Japanese mangas that used to gather dust in my closet. I think we can relate to that one point in time wherein we merely bought Japanese mangas to support the mangakas. If you’re up for it, then I hope this entry encourages you to take those mangas out of the closet. I cannot guarantee that you will be an expert in Japanese after reading this (you definitely won’t be close to an expert at all! ), but at least you can start your learning process and proudly say that you managed to at least read that Japanese manga that you bought. So, are you ready to start your Japanese? Before we actually start, there are some things that you would need to maximize your learning experience. Of course, we first need the manga. If there’s a requirement for it, it has to be your favorite manga. If you don’t like the manga, then you won’t even bear through all the text just to read it. If you are starting, with absolutely no knowledge of hiragana and katakana, then it would be helpful to have a manga that has furigana. Most shounen mangas from Shounen Jump and Shounen Sunday have furiganas with with their mangas. If you have access to Children’s manga (like Doraemon), that would be greater even. Shoujo titles from Hakusensha (Lala, Hana to Yume) would also have furigana with their titles. If you can read some bit of hiragana, katakana, and some kanjis (and how to write them), then stepping up with some seinen and josei mangas would be great to take your Japanese to the next level. Whether it’s the old school Merriam dictionary or an electronic one (doubt you can use this though, but if you do, cool), it is important that when you’re starting you have a hiragana and katakana chart with you along with an Japanese-English dictionary. If you can’t find one because quite a couple of kids have been studying Japanese too, then Meguro Language Center will have a Hiragana and katakana chart for you and Jim Breen’s WWWJDIC will become your best friend. Eventually, you’ll want a more sophisticated dictionary. The Nintendo DS has a great Japanese – English, Japanese – Japanese dictionary. This will be a lot helpful if you want your dictionary portable. Alternately, if you can’t find words in either dictionaries and you think it’s too slang that it’s probably otaku-related already (e.g. Fujoshi, tsundere, etc. ), you can check out Bangin’s blog! This is just as important as the Japanese-English Dictionary. Without this, the words wouldn’t make sense at all (and you’re bound to misunderstand what you’re reading.) If you have access to Japanese Grammar books, that’s great. The grammar book I use is Minna no Nihongo. Others might recommend to you better books. Whichever is really convenient for you, really. Lately, there’s been some great online grammar guides that can help you distinguish your ni from your no. Guide to Japanese.org and Jgram.org are great places to start. The DS Japanese-English dictionary also has great notes for grammar words. For me, this helped a lot. I’m forever grateful to my friends and teachers who are always happy to answer me whenever I ask them stupid questions about the silliest words and grammar patterns (especially slang speeches which are EVERYWHERE in manga). If such friends are unavailable to you, there are different forums dedicated to Japanese language (in some cases, manga translation) that can help you. And you can prolly find your own friends there. With those in mind, I’m pretty sure you’re ready start reading. I’ve set 4 stages to studying Japanese. This is how I studied the language and how I’m continually trying my best to master it. This is not the common path to take, but I think it’s just as enriching as those that are usually taken. Stage 1: Crawling through all the kanas and the kanjis. The first hurdle I encountered in reading my mangas were my kanas and kanjis. In the beginning, they were all scribbles to me. I had to first distinguish what is hiragana and katakana and what is kanji. This is where your hiragana and katakana list comes in. It will let you know which is kanji and which is hiragana and katakana. If you’re an absolute newbie to Japanese, and your manga has furigana, then reading through the manga will be a breeze since you can ignore the kanji and just read through the furigana. Furiganas are kanji-reading guides. They’re usually beside a kanji to help the reader know how that kanji is read in Japanese. And with the help of the furigana, you can easily match it up to the word with your dictionary. The trick here is memorization. Try to memorize the shapes of the hiragana and katakanas. If you can even try to write them (just for retention), all the better. Of course this is tricky because some mangas won’t place furigana for commonly used kanjis such as watashi, ore, and iu. It can also be tricky when the entire sentence is in hiragana and you can distinguish where one word starts and where another ends (I still encounter this trouble myself!). My only advice is be prepared for it and try to memorize the shape of the said kanji. It’s meticulous, confusing, and difficult, but eventually, with enough reading, you can finally recognize that watashi refers to “I” and hito refers to “person”. The more you expose yourself to reading the more that you can get used to reading some hiragana, katakanas, and kanjis. Of course, this part is just the tip of the iceberg. What’s the use of knowing how to read it if you don’t understand how and why it’s said? This is where your grammar comes in, one which will probably make your manga reading a lot more difficult than it already is. Once you can manage your hiraganas and katakanas, you can start studying your kanjis. Kanji workbooks and a dictionary with kanjis (this is where your electronic dictionary or Jim Breen will really help!) can be your best friend. Nintendo DS also has a bunch of great kanji DS games. Learning how to write the kanji and how to read it can make your life a whole lot easier later. Eventually you can manage to read kanji combinations without the help of dictionaries. Stage 2: He gave what to what!?! Recognizing and reading the word is half the problem. The next and most important part of learning Japanese is learning the grammar structure. There is a great likelihood that your first bubble won’t have an easy grammar structure. My advice is to read up ahead on grammar. If you want to read your grammar patterns before you read your manga, then that’s cool. That first bubble would be a lot easier to read. Sometimes, I like getting lost in the dialogue. I usually find the main words first, the noun, adjectives, and the verb, then look at the words that serve as prepositions or what I would informally say as ‘grammar markers’ and then check grammar sites like jgram, guidetojapanese, or my Minna no Nihongo. I will check how those markers make sense to the other words. Eventually, you manage to memorize the grammar patterns and like hieroglyphics, you can decipher what that first bubble is talking about. To be honest, this is the most difficult part in understanding Japanese through manga. There is a great percentage that you won’t easily find the grammar markers for the dialogue in manga because some of these dialogues are either in modern slang and dialect. This is where friends who know Japanese can help. They can either help you in understanding that pattern, or either guide you where to look with regards to that meaning. At times, to help my learning curve, I check English translations of that manga (if available). I would try my best to resist reading just the translation, but rather, understand why that person translated that bubble in that manner. The more you read, the more words you encounter, and eventually the more patterns you’ll remember. Forget it if the words are totally uncommon words like mahoutsukai or youkai. The point is before you got to those words you actually encountered words that are common to the Japanese tongue. If you have reached this stage, it means that it’s probably months or even years since you started reading Japanese. Reading Japanese doesn’t mean you’re a master of it. By now, you can probably understand the language but yet only have a quarter of understanding of the whole language. This is the time you reinforce your knowledge of Japanese. The time wherein you move out of the furiganas and start reading some seinen manga. If you’ve reached this far, it means that your love for manga is beyond that your favorite title. Along the way you have embraced the culture behind the language and probably has a broader perspective about Japan, one that is beyond ninjas and shinigamis. So how do you take it to the next level? This is the time I would suggest getting formal classes in Japanese, one that is a little above the basics and one that is a little before the intermediate. Seriously, without this, you cannot tie some loose ends together. If you have the chance to be in an intensive course, that’s great. If you have the chance to even go to Japan and study the language there, even better (since you’re immediately immersed in the language). Some of my friends don’t do this and instead immerse themselves deeper in Japanese either by playing Japanese video games (from PS2 RPGs to MMORPGS), reading light novels, even visiting Japanese sites, or listening to drama CDs, or watch your anime raw. Some even start writing entries in Japanese sites such as mixi. Although, that’s kind of impossible now since they restricted it from foreigners. The point is, exposure is the key to mastering the language. The more you read, speak, write, listen to a language, the more it becomes second nature to you. By doing these, you’re finally at that point where you’re pretty much slowly letting go of that dictionary you’ve always had in your bag. The key here is immersing yourself in the language everyday and have someone correcting you or guiding you. Some people (myself included) do personal translation of series we love that are yet unnoticed by licensing agents in the US. There’s a wealth of great manga out there, many of which are still untranslated and would barely reach American shores. So if you love that manga and you want to pimp it to everyone, go ahead and translate this manga with all your might. My good friend Melz is doing this for the last few volumes of her favorite series. I’m doing this for Moyashimon and for a couple of series I’m interested in. Translating is a great way to understand the fluidity of Japanese dialogue, at the same time, it’s the perfect way to brush up on your vocabulary. The first two stages can get you as far as Grades 1 or 2 Japanese. This stage will help you to make the language a part of your tongue and your thought pattern. In this stage, Japanese has seeped into your mindset that when you read a manga, you no longer translate it to english and it sometimes frustrates you to even translate it to english because you find it meticulous since you understand it in Japanese anyway. Unless of course, if you love the series so much that you want to pimp it to your non-Japanese reading friends. For my own personal ‘training’ regimen, I’m focusing reading on seinen mangas that tackle topics ranging from economics to bacterial infection. I’m currently subscribed to Morning and the magazine has a wide array of topics. The ones I faithfully read are cooking related (and yes I love reading those cooking terms), although some stories also pique my interest as well. When I read my Morning, since it’s just a magazine, I scribble on dialogues that has words or grammar patterns that interest me. I highlight a word and then write what it is and what it stands for. This is helping me recognize that word so that when I encounter it next time, I’ll definitely remember its meaning and how it’s read in Japanese. Of course, I won’t suggest this if you are reading tankoubons (but if you can’t resist, use post-its!!). Some may not take this stage, but for me, I take this as a validation of what I know and where should I improve. Every first weekend of December, there is a test given internationally called the Japanese Language Proficiency Test, more popularly known by it’s acronym, JLPT. The JLPT’s a perfect avenue to test you on how much Japanese you know and understand. There are 4 Levels to JLPT, wherein the 4th Level is the lowest and the 1st is the highest. The test tackles your understanding of vocabulary, grammar, listening, and comprehension. My JLPT experiences are always funny, whether I pass it or not. You shouldn’t take the test as one that hinders your growth in Japanese. Instead, use it as a leverage to know your weak points and how you should improve yourself. This year, I’ve started to seriously study for my Level 2 Japanese Language Proficiency Test (JLPT) for next year. Yes, I’m spending two years to study the language since Level 3 only required 300 kanjis and JLPT2 requires around 1500 kanjis. For this year though, I decided to improve my vocabulary and grammar by reading more manga. I know, it sounds silly and many Japanese language students are critical of this, but over the years, I realized that reading manga is a great tool to get used to the language. It is not the ONLY nor is it the BEST way to learn the language, but it is definitely a fun alternative to overcome your fear of Japanese. If you’ve got other suggestions on what you guys did (or is still doing) to understand Japanese, please leave a comment. Hopefully you can give me (as well as readers of this entry) more tips on how we can improve our Japanese. Currently, my brain is exploding with all the kanjis. 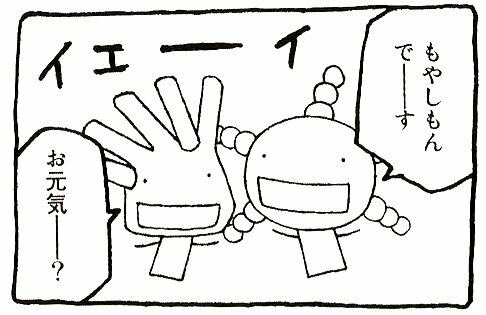 Thank god, reading manga is making the experience a lot more fun than writing that kanji over and over again for 10 times. IS there a site where I can read Kare Kano in Japanese??? hey there! I’m really interested in learning japanese! and i told my dad. he recently went to Japan and bought me lotsa Japanese comics. i was realy HAPPY! 😀 and then, he gave me this url that he came across…i think you gave really good advice! thank you very much! So far this has been my learning experience through exposure and reading. And it’s just immersion….my current goal which i am aiming towards to, is to be able to read light novels..
Just read lots of manga and you’ll eventually beginning to think in Japanese. I’m not in an English speaking country but through manga, I now my English is quite good if I do say so myself :)) Now I’m beginning to learn Japanese to read manga sooner 🙂 and don’t have to wait for the translator groups. I’ve just finished the first haft of an elementary course (a.k.a unit 25 of minna no nihongo) but I can already read simple manga like Yotsubato! already. i have learnt some or little bit about japanese language through J-DRAMAS, JAPANESE MOVIES N ANIMES AND OFCOURSE MUSIC . There is a big online resource for learning japanese which is http://www.about.com .honestly it is a great help whenever it comes to learning japanese language. Well for the male readers out there be careful!!! Hehehe I know Khursten already pointed this out that you need validation when using the approach she mentioned. I probably will also start with Shoujo manga because yes they can be oh so polite but be forewarned. In Japanese, there is also something called like “gender” in speech. If you read way too much shoujo manga and pick up some bad habits there, you might be mistaken for *ehem* an effiminate guy if you are not careful. XD I honestly attest to having some bad habits corrected by myself when I read more on the subject. Seinen is fun but there is all that ateji, it becomes really confusing. Maybe that is the “sickness” of Shounen Manga. 4-komas and shoujos are great advice! Somehow shoujo mangas are really far far easier to read in terms of dialogue. Girls are really polite when they talk! XD Although recently, due to the Tsundere trend, a bunch of potty mouths have emerged. lol. 😀 amen to what you said, khursten. i usually encourage a few of my friends to read manga as a reinforcement to their classes, instead of a starting point. i like using something like chibi maruko-chan for some of the level 1 japanese. 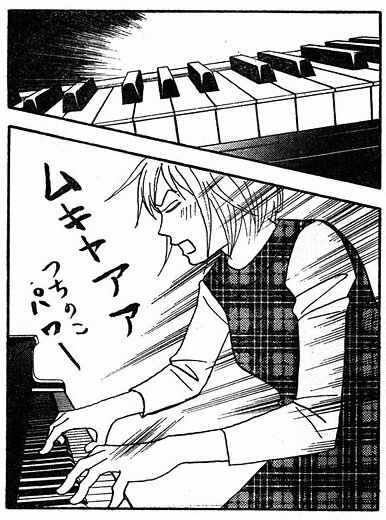 when you get to beginning level 2, minto na bokura by yoshizumi wataru is perfect. 4-koma are also pretty good for those who want the faster gratification of completing a/n story/idea. I totally LOL at the section headers and I actually can relate to your anecdotes. Too bad I cannot get access to manga because I cannot buy online. Well, I am not into reading “RAW” manga anyway. I totally agree on your points about exposure. It is important to be immersed so that the language is in your long term memory. I do Japanese learning on the side by looking up the lyrics of the songs I like. Though not as productive as learning new grammar patterns on manga because they are full blown dialogue, I also still get to “enrich” vocabulary.